This weekend, along with all my gardening and planting, I was looking for something new to make. 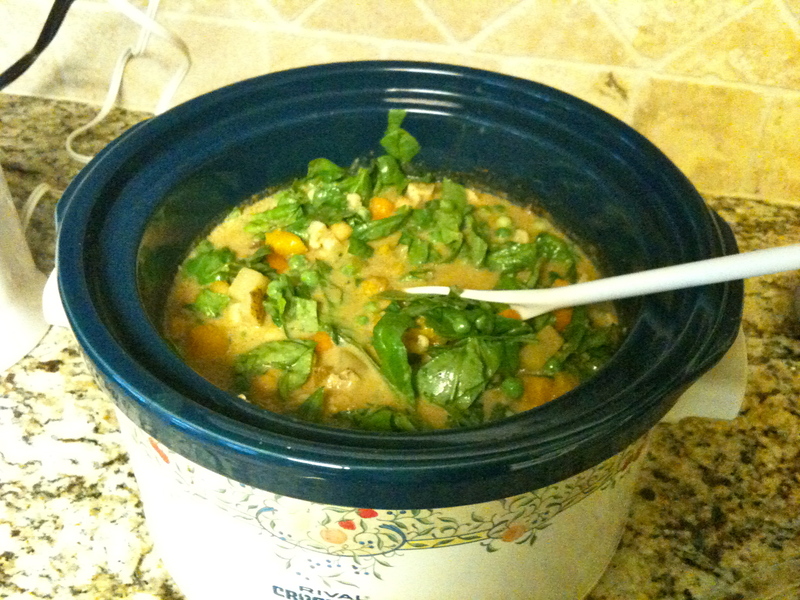 I love a good curry and anything that can be easily made in a crockpot is always a winner in my book! So when my Mom faxed me a recipe she found in Canadian Living Magazine it sounded like the perfect recipe for this Memorial Day Weekend. 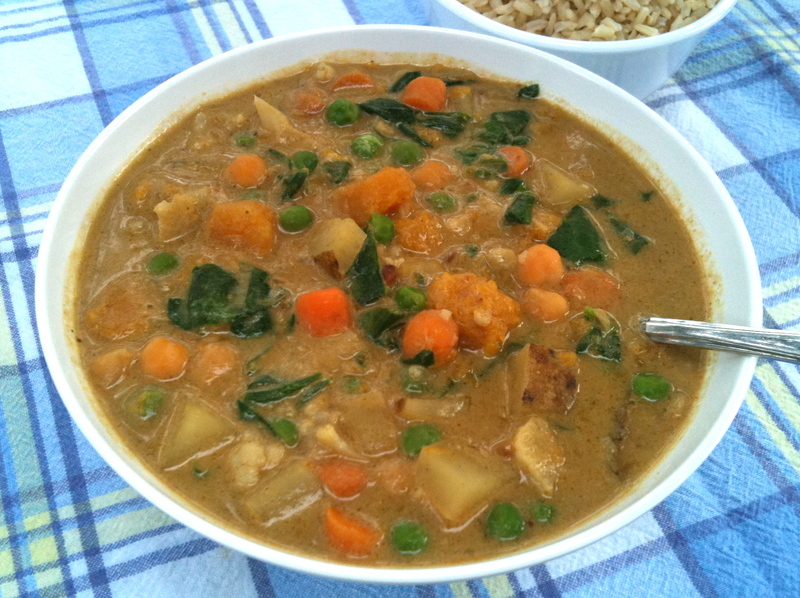 The recipe she sent was for Potato, Squash and Chickpea Coconut Curry but I have adapted it to use almond milk instead of the coconut milk and added some additional veggies. Coconut milk is very high in saturated fat so I always try to avoid it when I can. The almond milk worked really well and I don’t think the flavor was sacrificed at all. It is delish! 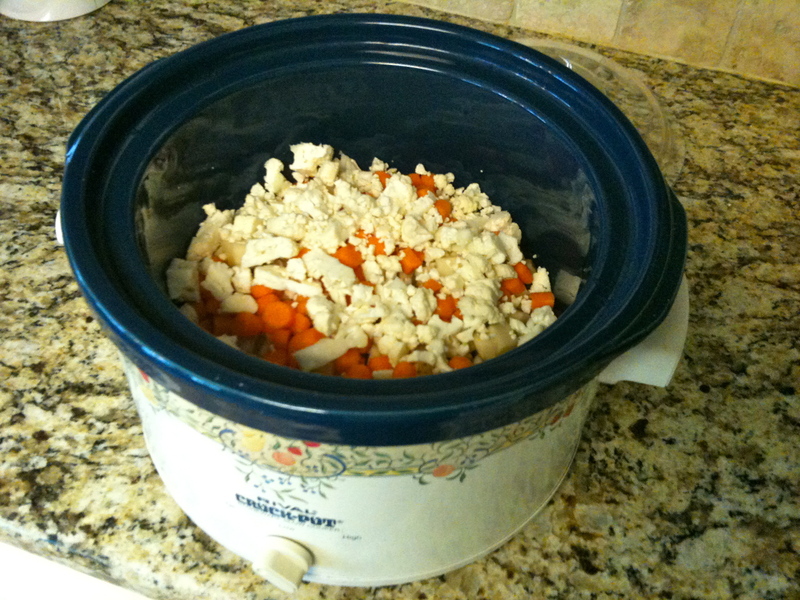 Place squash, potato, chickpeas, carrots and cauliflower in bottom of crockpot. 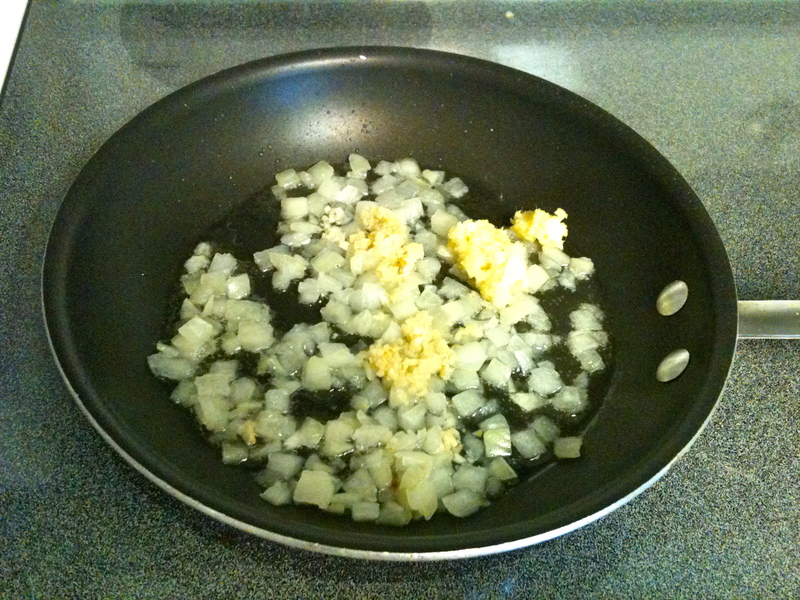 In frying pan, heat oil on medium heat and cook onion, garlic and ginger about 7 minutes until onion is golden. 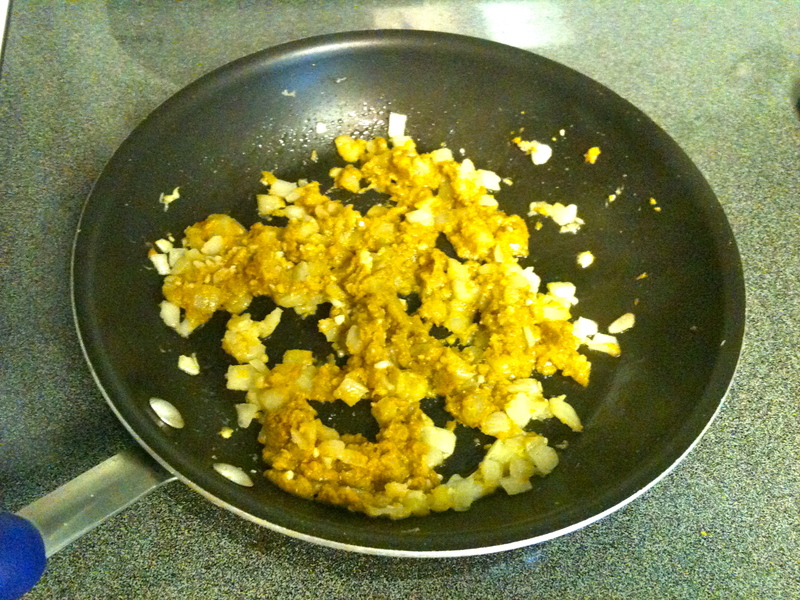 Add curry paste and cook while stirring for about 1 minute until fragrant. 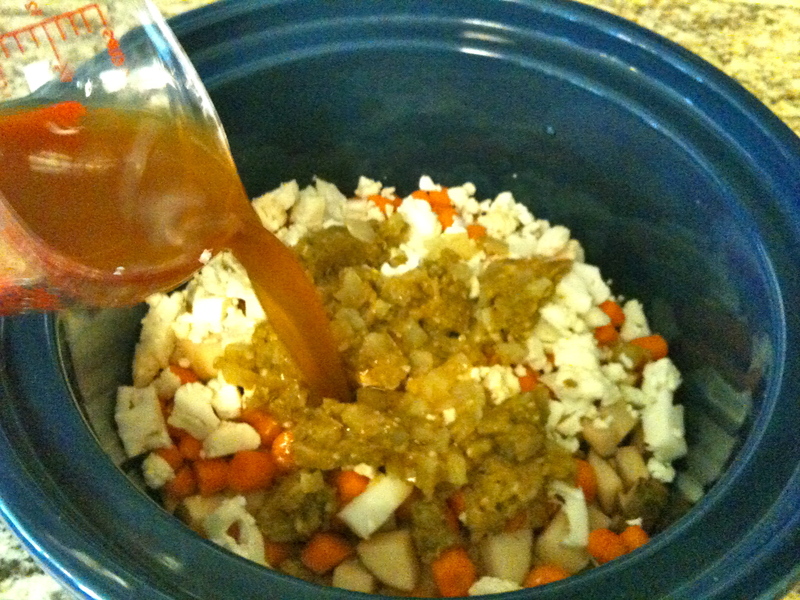 Add the onion mixture to the crockpot. Add vegetable broth and almond milk. Stir in peanut or cashew butter. Cover and cook for approx. 4 hours or until vegetables are tender. I cooked on high because I don’t think my crockpot gets very hot, so if you have a very good crockpot you may want to try it on low. Once vegetables are tender, stir in peas and spinach or swiss chard until it is wilted, about 15 minutes.Sprinkle with cilantro. 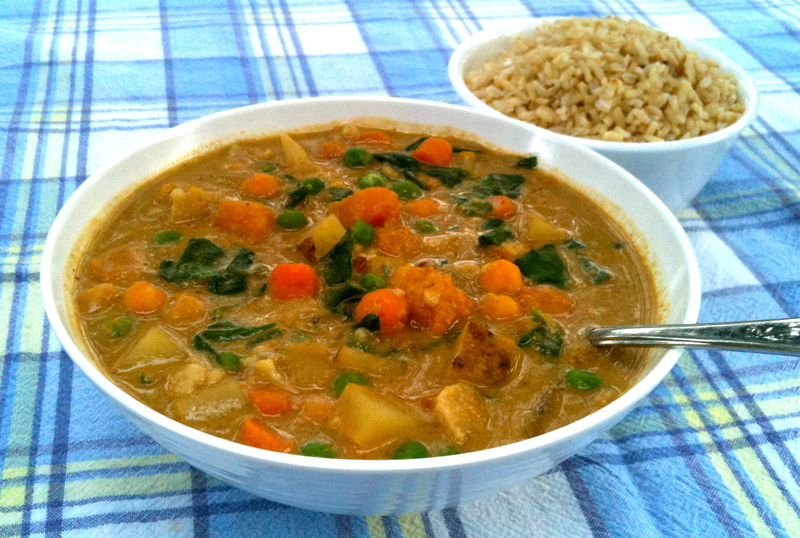 Serve on a bed of basmati or brown rice or couscous. ← Yogi’s Breakfast – Pumpkin Cranberry Bran Muffins, Fruit, Yogurt and Walnuts! Yum! This looks delicious and filling. I’m looking forward to making my own batch of it!